First graders are at such a fun age. They are curious, but can follow directions a bit better than their Kindergarten counterparts. 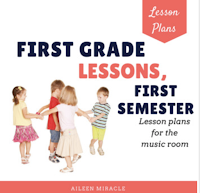 They are excited, they are joyful, and they can really start diving into musical literacy! In today's blog post, I'm writing with tips for teaching first grade. Oh, here we are together in music today. 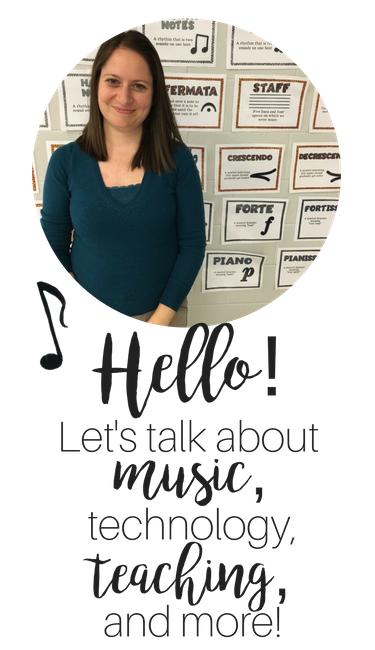 After that, we do greetings, in which I listen to four students sing solos, and then we sing the first song of the lesson and do concentrated work with it, whether it be with rhythm or melody. 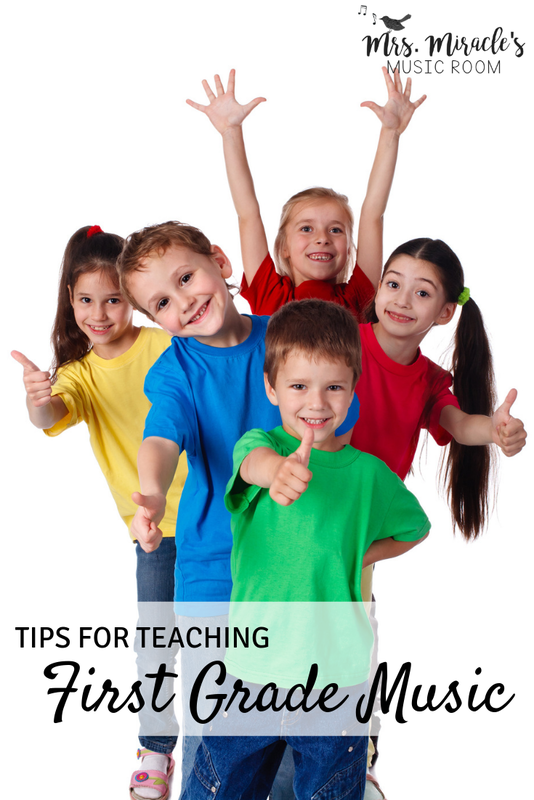 However you structure your lesson, it's wonderful for there to be aspects of it that are routine, so kids know what to expect. Although I have tried centers in Kindergarten with success, I feel like in first grade they are even more ready to work independently. They love the autonomy and being able to showcase their knowledge! Even though they are only six or seven years old, first graders are ready for a challenge! 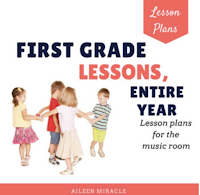 Whether you have them keep the beat in their feet and the rhythm in their hands as they speak "Bee Bee," or have one half of the class read one rhythm with ta and ti-ti while the other half of the class reads another, they are SO excited to show you what they are capable of! My friend Amy Abbott created this game to practice partwork skills that is both challenging and fun! ...But don't forget that they are six! Even though they are ready for more challenging tasks, they ARE still six or seven, so they love a LOT of the same activities that they loved in Kindergarten. Check out this blog post for some of my favorite Kindergarten activities...first graders still beg for the bunny game! The fun part about that game is that you can make it more challenging for them, by having the distance between the high and low trills decrease, so students really have to differentiate between high and low. 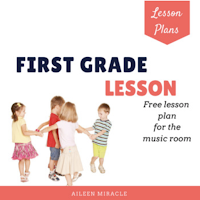 If you're looking for more first grade ideas, I have a free first grade lesson; you can download by clicking below. 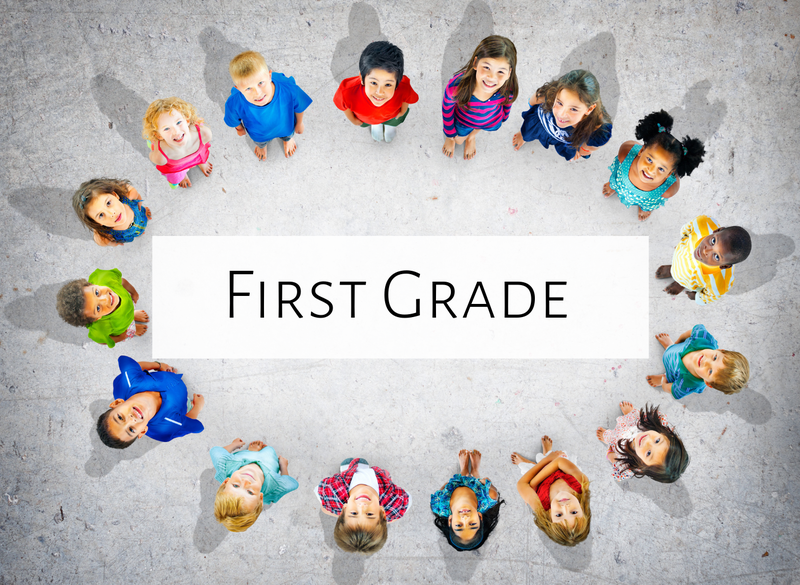 Anything you want to add about First Grade? Please comment below! Happy teaching!